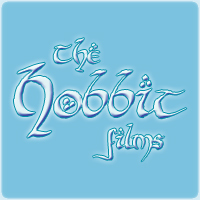 THE HOBBIT is on the move for a couple of months, Sir Ian McKellen posts on his blog, visiting a dozen or so locations up and down New Zealand. Filming outdoors is at the mercy of changeable spring weather, sudden showers and variegated skies. So the daily question is “What’s the forecast?” Were it to rain too hard and persistently, we would have to take shelter and just wait: but so far we are on schedule, illuminated by regular sun and the pretend sunshine of Andrew Lesnie’s massive lamps, fed by off-site generators. The other day it was drizzling but we carried on filming, as the 3D cameras couldn’t register the rain. A pity. Rain in a 3D movie would be outstanding, in every way. FIve hundred of us travel with the efficiency of an army or a circus on the move, each supplied by the production with transport, shelter and a bed. As tourists in New Zealand know, this is the land of homestay, with beds and breakfasts. Hotels are rare except in the cities and, of course, most of our locations are in the wilds. We travel with my own feather-filled pillow and I have no complaints. As long as the weather holds, it’s a bit like being on holiday. Steve Thomson is my assistant (look for him on the films’ credits.) He makes sure I’m on time and comfy. We met 11 years ago on Lord of the Rings when he was masseur for actors’ aching limbs. Our first filming destination was Matamata, where eleven years ago Gandalf the Grey made his entrance into The Fellowship of the Ring, greeting Ian Holm’s Bilbo on the doorstep of Bag End. The site has since been sign-posted as “Hobbiton”, where tourists in search of Middle-earth could ponder the paltry remnants of our filming, a couple of round green doors propped against the hillside. That meant that the village had to be re-built and the gardens re-plotted for The Hobbit. All our trucks, trailers, generators, dining tent and loos were hidden behind and below the surrounding hillocks but it was nostalgic to clamber up the path that leads to Bag End where this time Martin Freeman’s Bilbo will be surprised by Gandalf. We filmed there for less than a week, this time leaving everything behind, so future visitors do not have to guess at but actually see Hobbiton in its glory. They will even be able to get a snack at the Green Dragon. Peter Jackson, who likes a laugh, suggested I take up residence as a tour guide in my blue pointy hat. I’m thinking about it. We have three new pictures from The Hobbit Films! Courtesy of Entertainment Weekly. Take a look!